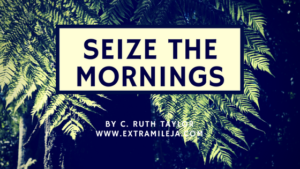 Recently one of my mentees asked me why she needed to rise early and I responded by sending her several articles on the benefits of rising early. I told her to tell me the benefits of rising early once she completed the readings and she did. I would advise you to also do the same even as I pen the importance of rising early in this blog. Rising early is no easy feat especially if you are not an early morning person but in order to rise early and reap the benefits of doing so as seen in our proverb, you have to go to bed early. Although I relish mornings, rising at 4:30 a.m. is still a struggle after 16 years of developing this habit. I have come to accept the fact that my body probably will never delight in getting up early and thus rising early is not dependent on my feelings. It is the benefits of rising early that motivate me when I don’t feel like it at certain times, and thus rising early is more of a discipline rather than a delight after 16 years. It’s a discipline which has paid huge dividends but my body still does not like it. In fact, I have to trick my mind by setting the alarm clock 30 minutes earlier than the allotted rising time and thus by the second alarm, I have more energy to actually get up out the bed and throw off the sheet. 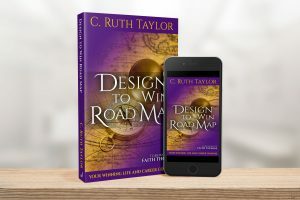 Once I am up though, I stay up and this becomes my most productive and enriching time each day where creative ideas flow as I commune with my Divine Designer, and make plans for the day or plans in accordance with my life goals. 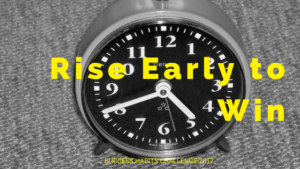 Now, allow me to share more of the benefits of rising early and what to do when you rise early. 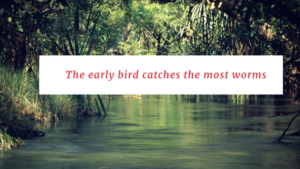 The early bird catches the most worms – Many super achievers such as Mary Barra of General Motors, Former First Lady, Michelle Obama, Ursula Burns of Xerox, Richard Branson of the Virgin Group and even Jesus of Nazareth and top athletes have been early risers. Rising early improves your productivity because you get an opportunity to work without distraction (the rest of the world is asleep). In fact, in 2010, Christoph Randler, a biologist from Harvard found that early risers are more proactive.This period gives you laser like focus which stimulates creativity and problem solving. Now in our day and age, the distractions come from our gadgets like our Smartphones and laptops, so I would encourage us to put the phones on airplane mode or turn them off and not go on social media pages in this first hour. This time is for meditation, exercise, planning or thinking. Improvement in quality of sleep and overall health: It is a great time to exercise and those who exercise early have more energy for the rest of the day. Those who go to bed early and rise early are said to sleep better because of a well established sleep routine. Makes commuting easier: When you rise early, you get a chance to beat the traffic on your way to work. Here are 7 suggestions for what to do when you rise early. Use a combination of 2-3 if necessary. Try to wake at least an hour before everyone else. 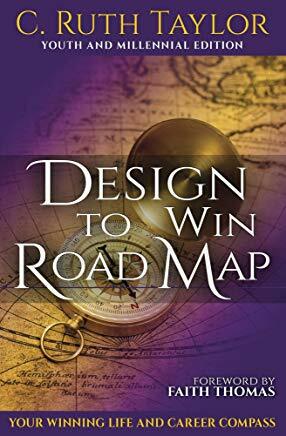 Brainstorm to find solution to a problem or steps to accomplish a goal – For example, if you have a financial need, write down 20 ideas/solutions to meet that need. Write a major life goal and list 20 possible ways you could achieve it. Now that you have some reasons to rise early and know what to do, go ahead and do it! If you need more reasons to rise early and how to do it, read this article here on 10 Benefits of Rising Early, and How to Do It. Watch this video by Robin Sharma to further stimulate you to practice this habit. I want to encourage you to continue our 2017 Success Habits Challenge journey of practising five habits to accelerate our progress which includes the habit of Rising Early. Read here for more details and sign up for the challenge here. It’s still not too late. What are some of the methods and benefits of Rising Early that you have discovered or developed? Do share them with us. 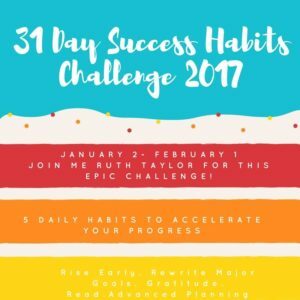 If you have been doing the Success Habits Challenge for 2017, how has it been going? What results have you been seeing thus far? Has your progress been accelerated? Has this information been helpful? Feel free to share this article with your friends on social media (instagram, facebook, twitter etc) and comment on the blog. 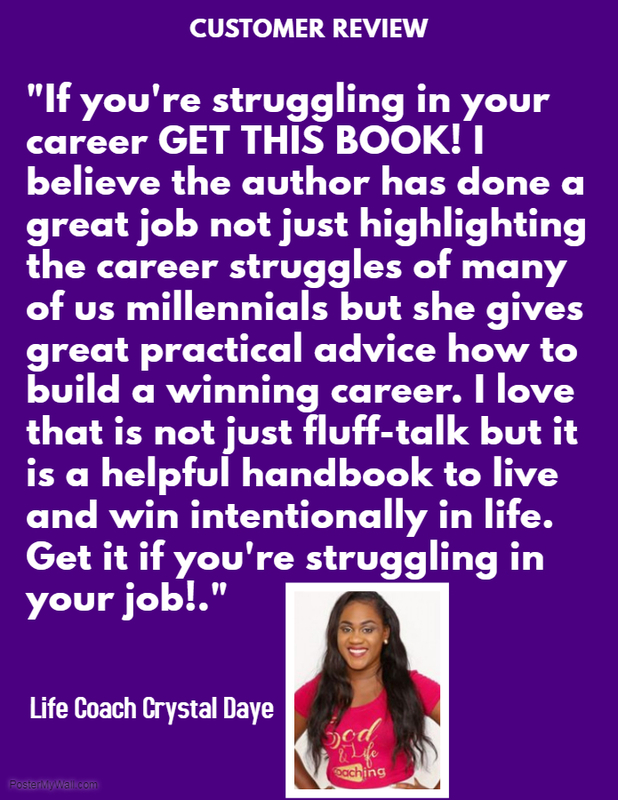 Share it using the social media buttons at the top and bottom of this article and let’s equip more people to win at life! Let’s rise early and score big in 2017! This entry was tagged 2017 Success habits challenge, health, productivity, Rising early, success strategies. Bookmark the permalink.